To run a successful, sustainable authority site, it makes sense to have more than one source of revenue. That way, if Amazon half commission out of the blue, you’re only losing, maybe, 20% of your revenue rather than 50%. Well, it also makes sense to have a range of diverse traffic sources. If you get slapped with a penalty from Google for some reason, you don’t want to lose 80%+ of your traffic overnight. That’s why you should have an email list, build an audience so that you get repeat traffic or grow a strong following on social media. How can you grow a social following or expand your email list? We’ve all seen an old auntie share a quiz on Facebook along the lines of “Only a genius can get 8/12 in this geography test”. It may just be me, but I can’t help but click it to try and check if I am, indeed, a genius. Harnessing the viral nature of this is an incredible way to get your site in front of people. But, the point is to turn these views into likes, more shares and email signups. Just how effective can quizzes be? 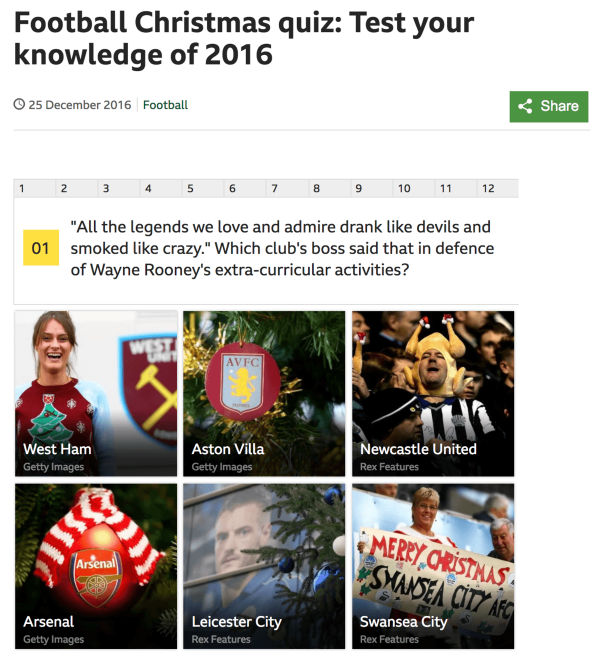 According to BuzzSumo, the second most shared piece of content in 2016 was a quiz. What are We Looking for in A Quiz Plugin? Layout options = the option to create different formats of quizzes. Modern quizzes come in various formats. 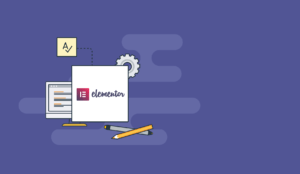 We are looking for flexibility in these plugins so we can create different types of quizzes. According to Playbuzz, the three most popular quiz types are personality quizzes, trivia quizzes and guessing game quizzes. Which squirrel matches your personality? 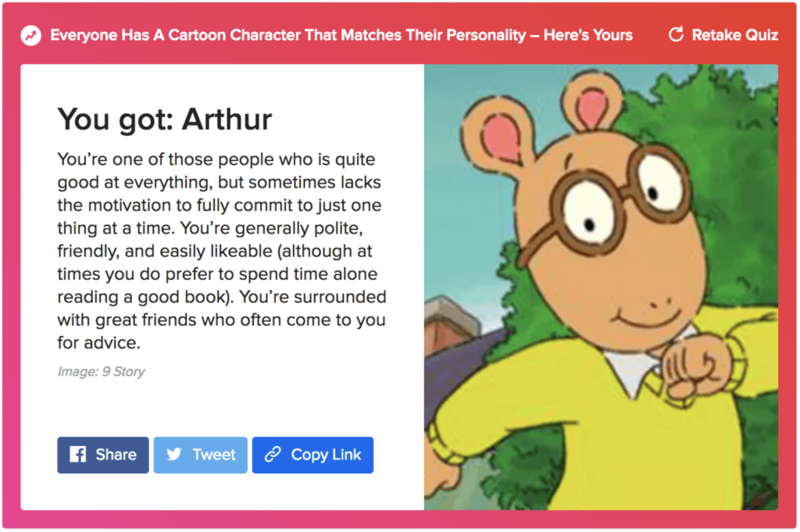 I got Arthur and I think I’m ok with that. QUIZ: Can you pick the footballers (or soccer players, for Americans) by their nationality? I want to do what works. So, I’m looking for a quiz plugin that can accommodate these different formats. The most successful quizzes all tend to have a visual element to them. Think of Buzzfeed and the amount of images they use. The plugin must have the ability to make the quizzes visual rather than having a simple, boring, plain-text look and feel. It must also have the ability to add media to the questions and answers. Multiple page quizzes = quizzes that spread across more than one page. You’ll see a lot of quizzes spread across multiple pages. You’ll even see some that go as far as to have a page per question. While this is a terrible user experience and frustrates the life out of me, I can see why people do it. Moving through multiple pages provides more page views. The benefit for site owners is they can generate additional advertising revenues. So, while I don’t foresee using the functionality all that often, it’s a nice to have. Focus on social sharing = some way to leverage virality by allowing people to get more entries by sharing the contest with their social networks. For me, a large part of the reason for doing a quiz is the viral aspect. When people get their results, they share them. Or at least we hope they do. But, is it enough to just hope? 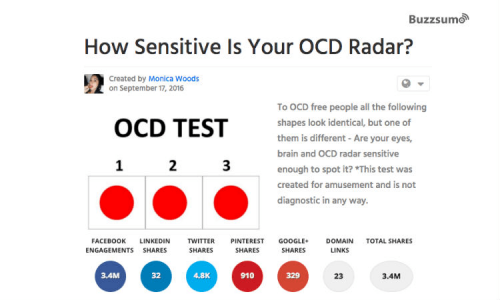 I’m looking for a quiz plugin that places an emphasis on social sharing. Specifically, I want a quiz to have a mechanism whereby people can share to get more entries, which can boost the viral coefficient. Focus on Email Signups = a user to enters their emails address to get their results. A lot of quizzes focus on getting more social followers and trying to make the quiz ‘go viral’, but I’d also like the option to be able to capture email addresses from quizzes. For people selling high ticket items, any way to capture the email address of highly engaged prospect (I assume if someone completes a 15+ question quiz they are engaged in the topic) is great but the added benefit of a quiz is that they allow you to capture information on the potential buyer too. We can ask potential customers questions that delve into their desires. For example, we could have a quiz on Health Ambition that asks if people are trying to lose weight or build muscle. We can then use this information to target them with a specific product. We’re looking for a quiz plugin that meets all of the criteria set out above. If we can get all of these features and have to pay for them, so be it. But what’s the point in paying for a plugin if you can get all of this for free? As always, there’s a balance to be struck between functionality and price. There’s no unlimited supply of money and anyone that’s been running an authority site for a while knows that costs can quickly stack up. If money is tight, spend money on the things that will generate more money. What are the Best Quiz Plugins for WordPress? WP Quiz and WP Quiz Pro are the free and paid version of the same plugin. Personally, I’m not a fan of the flip card quizzes but I am sure they have their uses. In my opinion, the other two formats are much more useful for what we do. 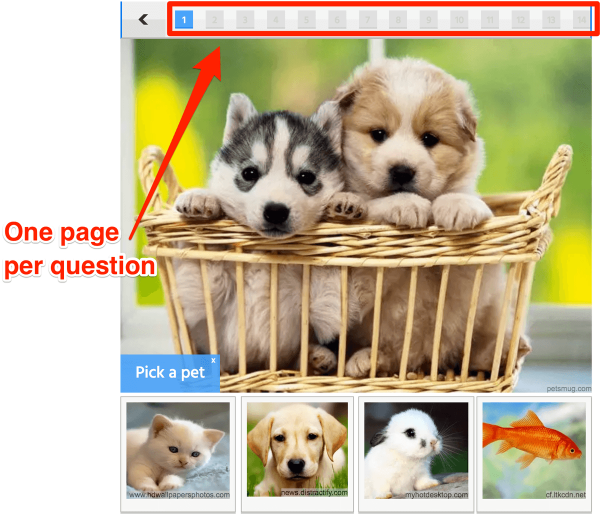 You can add images or even videos to the questions and answers. There’s even an option to add any credit for images that you need to give attribution for (although this doesn’t mean that you can simply steal images). You can technically have quizzes across multiple pages but this only happens when the quiz is too long for a normal page. It’s not really clear how they determine this. When creating a quiz, you can add questions, answers and results. For me, that’s really all you need. All quizzes you embed on your site will also be mobile responsive. You don’t need to worry about it looking clunky and out of place on mobile and tablets. Within the settings, you can add the social share buttons that you prefer. By default, these are Facebook, Twitter, Google+ and VK, but it is extremely easy to remove any of these. The downside is you can’t add additional social media platforms. They’re the only 4 options. Having said that, you’re probably not going to share a quiz to Instagram, Pinterest or Snapchat anyway! There are also a number of features that are only available in the $87 Pro version. 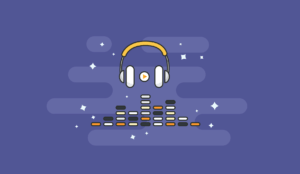 This includes randomizing the order of the questions and the answers, showing ads and showing an embed code so that other people can embed your quiz on their site. For me, these features are not all that attractive but there is one that, in my opinion, is absolutely necessary. ‘Force action to see the results’ does exactly what the name would suggest. In order to see the results of their quiz, people must either share the results on Facebook or put in their email address. As we mentioned previously, social shares and capturing emails is the entire purpose of creating the quiz. This feature can help force the issue. On the other hand, it can piss people off. I can think of a bunch of times I’ve spent time completing a quiz, come across this and abandoned it on the spot. All in all, the WP Quiz plugin is pretty good but in order to get all of the functionality to run a successful quiz but only if you buy the pro version. 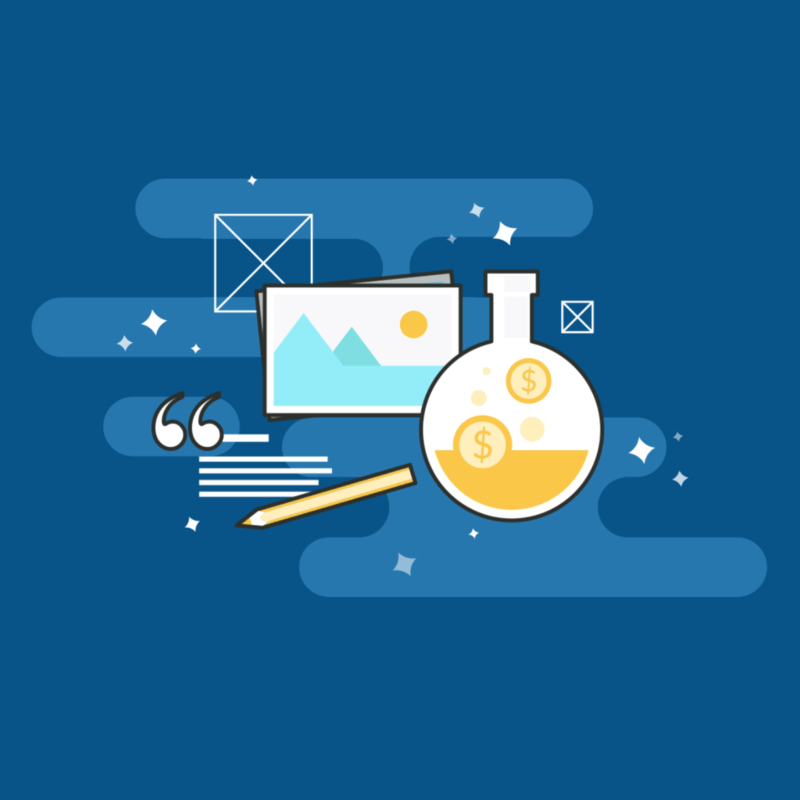 WP Viral Quiz is a paid quiz plugin that you can purchase on Codecanyon. These are the two most popular formats, so I’m quite happy with those options.. More choice is always nice but these two are sufficient. The plugin is also mobile responsive which is an absolute must from our quiz plugin. You can also create multi-page quizzes. As I said, this can be a plus for people who are looking to monetize their site through ads. It allows them to get more page views and put more ads in front of readers. 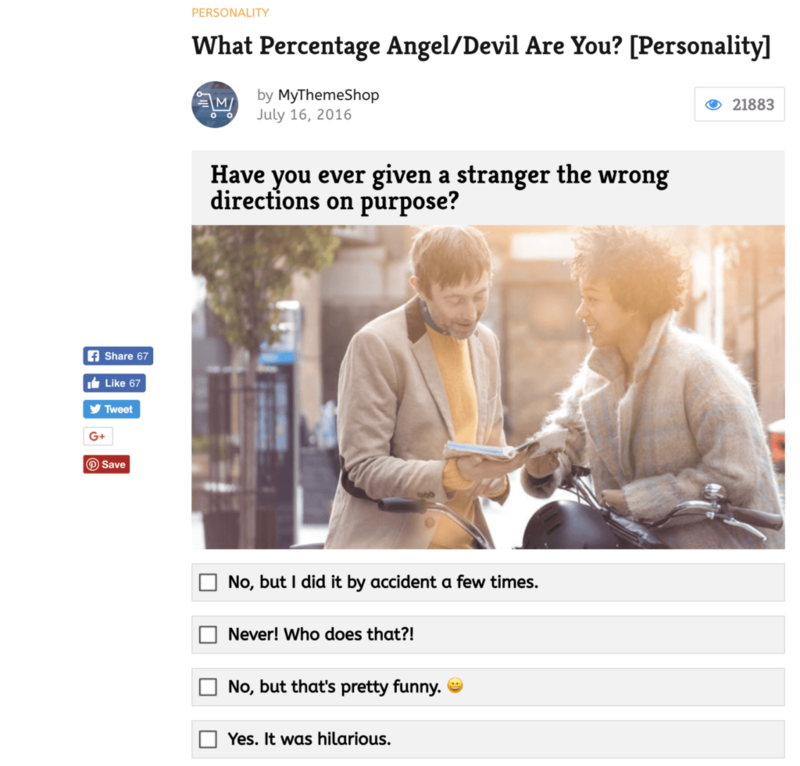 Just like the pro version of WP Quiz, WP Viral Quiz allows you to force a reader to share on Facebook or put in their email address in order to get their results. 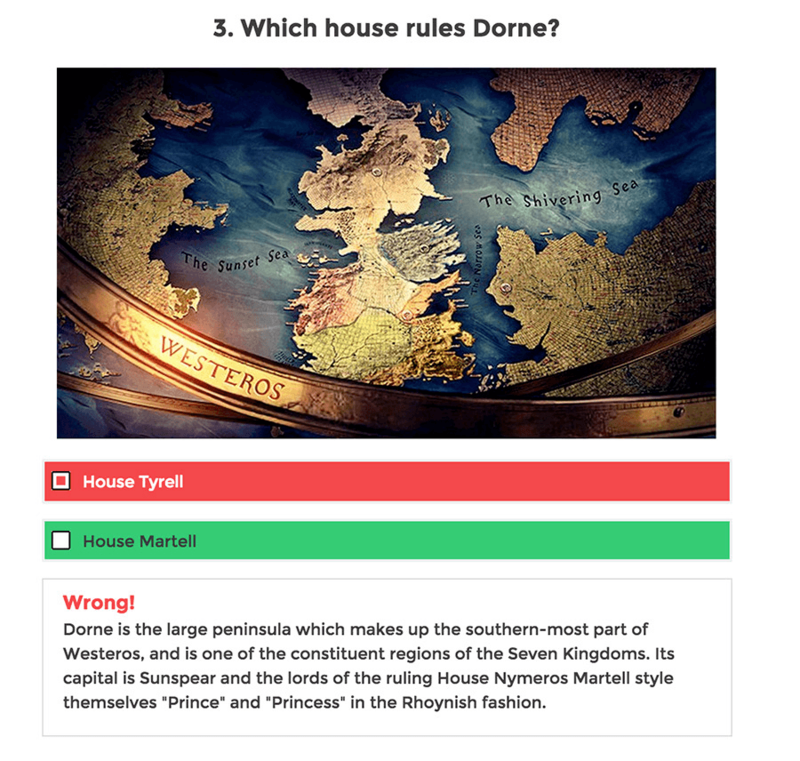 You can also create an embed code that allows others to embed your quiz on their site. Interestingly, you can save your readers answers. 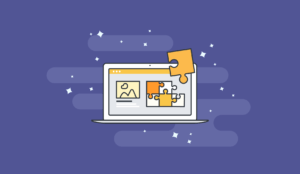 This way, you can create quizzes that probe your audience for more information that would be difficult to capture in other ways. It’s like doing market research in a fun way. There’s only one pricing option for WP Viral Quiz. It costs $25. That’s quite reasonable, especially when you factor in the functionality it has. ViralPress is another paid plugin available to buy from CodeCanyon. It will also set you back a pretty reasonable $25. Unlike the other plugins so far on this list however, ViralPress is not an out and out quiz plugin. It’s been designed to create social media focused, viral content. 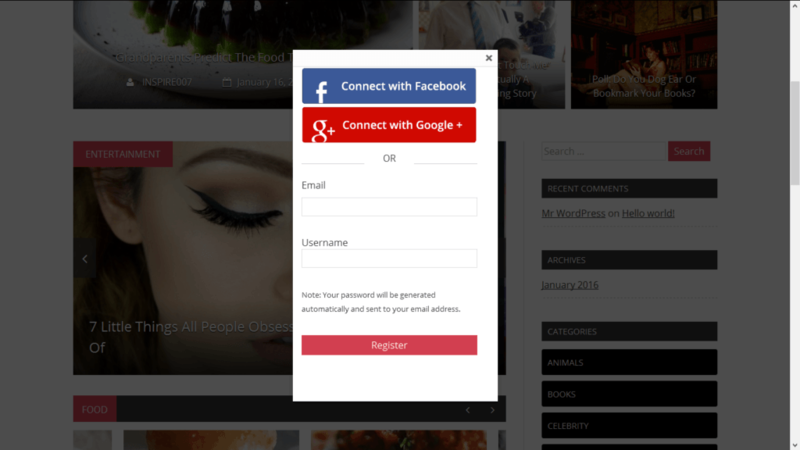 It also supports log-in via social media so that users can log into your site via Facebook and Google accounts. A large part of the plugin is focused on building lists,but we’re going to focus on the quiz element of the plugin. There are three layouts for quizzes: a trivia layout and two different types of personality quizzes. 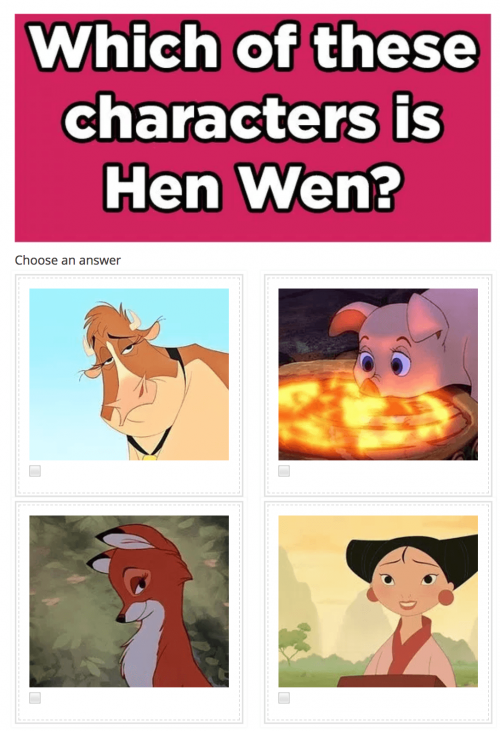 Like the other plugins, you can add images to the quiz. It lets you force people to share on Facebook before they see their results but there’s no such option to capture email addresses. This is a negative for me as I’d always rather have an email address than a share. There’s also no option to create multiple page quizzes. ViralPress is packed full of features. It’s an option if you’re going to be creating a lot of social content and are not focused on building an email list. But, as an out and out quiz plugin I do feel there’s better options. Playbuzz is different to what we’ve seen so far. That’s because all this plugin does is manage the embed of the quiz on your site. You actually create the quiz itself on the Playbuzz website. This is one of the most popular platforms for quizzes. You will see it on huge sites such as the BBC. But the question is, does it actually do what we need it to do? The layout options for quizzes are a personality quiz and a trivia quiz. The main issue for me is that Playbuzz own the content. That means you can’t limit the quiz to your site only. It also means that there is no way to force people to share on Facebook or register their email address to get their results. Sure, Playbuzz looks great but it just doesn’t live up to the bill when it comes to being a quiz plugin. The plugin itself simply gives you a shortcode, then you have to put this into the page yourself. Really, it’s a bit of a waste of time. You’re better off just embedding with the embed code rather than downloading the plugin. 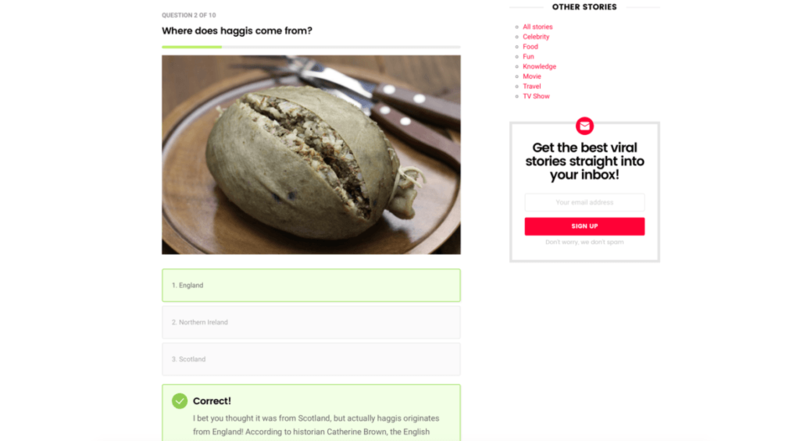 Onion Buzz isn’t a dedicated quiz plugin but it’s packed full of features. In the free version, there are two kinds of layouts – trivia and personality. This has proven to be pretty standard across all of the plugins we’ve featured. It’s mobile responsive, can integrate with Mailchimp and does have a focus on social sharing. Ideally, it would integrate with more than just Mailchimp but it’s a start. However, you have to get the paid version for the social and email features. There’s also a slight issue in terms of multi-page. It’s not supported by this plugin. The paid version comes in at $25. This seems to be middle of the road pricing for quiz plugins. Overall, Onion Buzz is a real contender but it’s let down a bit by the lack of multi-page options. What Quiz Plugin Should You Get? For a price of $25, it is really difficult to argue against WP Viral Quiz. It does everything that we’re looking for from a quiz plugin and looks good while doing it. The plugin is extremely easy to use (as they all are to be honest). Having said that, multi-page is not important for everyone. So, if that is not important for you, Onion Buzz is a really good alternative. 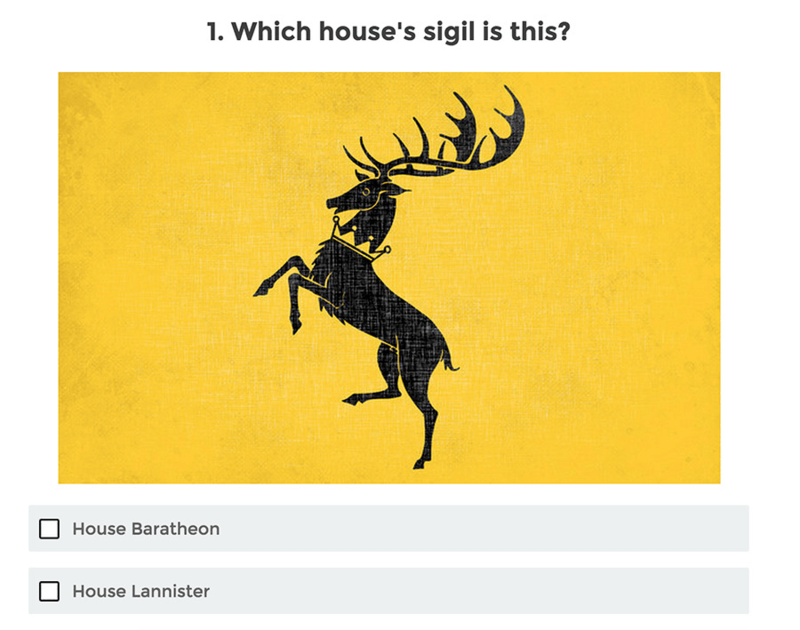 It feels very close to WP Viral Quiz but there is a little bit less attention to detail. WP Quiz Pro is almost there but it’s really the price and the lack of social sharing options that let you down there. 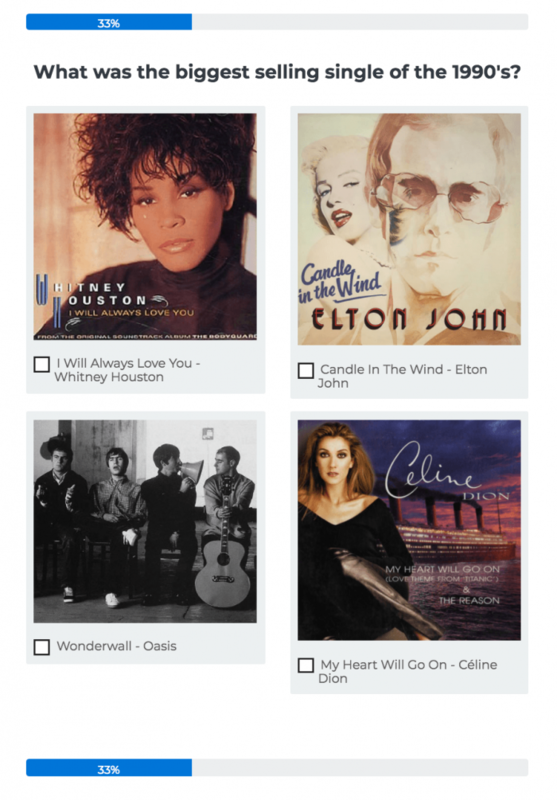 Our recommendation: WP Viral Quiz.